The Illuminati Cyber Army, they are the lovers of Wisdom and Power, they are not new, and they are not hiding. The Illuminati cyber army, are the hackers and philosopher of the Illimunati family. 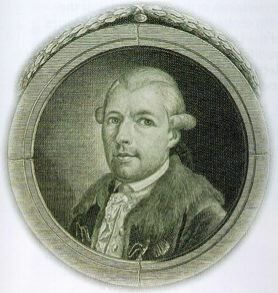 The Bavarian Illuminati, an Enlightenment-era secret society founded on May 1, 1776 is still active today. One of the goals of this society was to oppose superstition, prejudice, religious influence over public life and abuses of state power. This is exactly what the hackers have been doing lately. Take a look at Anonymous, they are known for their operations which support the society on planet Earth. Anonymous does not support a device, they support mankind. Anonymous ‘Enlightens’ people. The Illuminati Cyber Army will attack religious web environments and they will infiltrate companies to steal information which will help them to gain a higher level of ‘enlightment’. 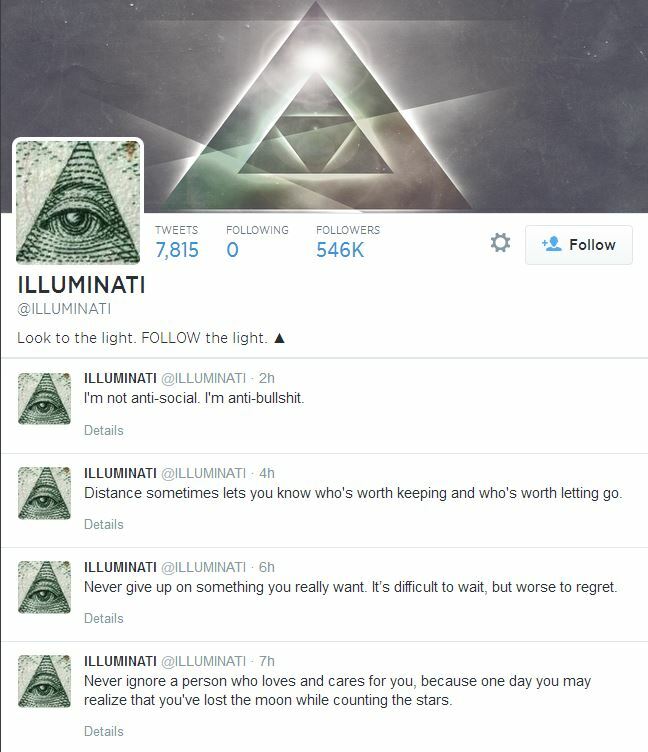 Roar, the Illuminati does not follow anyone on Twitter. Take a look at the picture below. Once you take a look at the Twitter picture above, you will see that person(s) behind the Twitter account are able to reach 546 000 Twitter uses with a simple tweet. The power of such an Twitter account can be used by hackers to initiate an attack on targets. This has happened before with the aggressive period of Anonymous. Anonymous used their famous Twitter accounts to gain hackers.